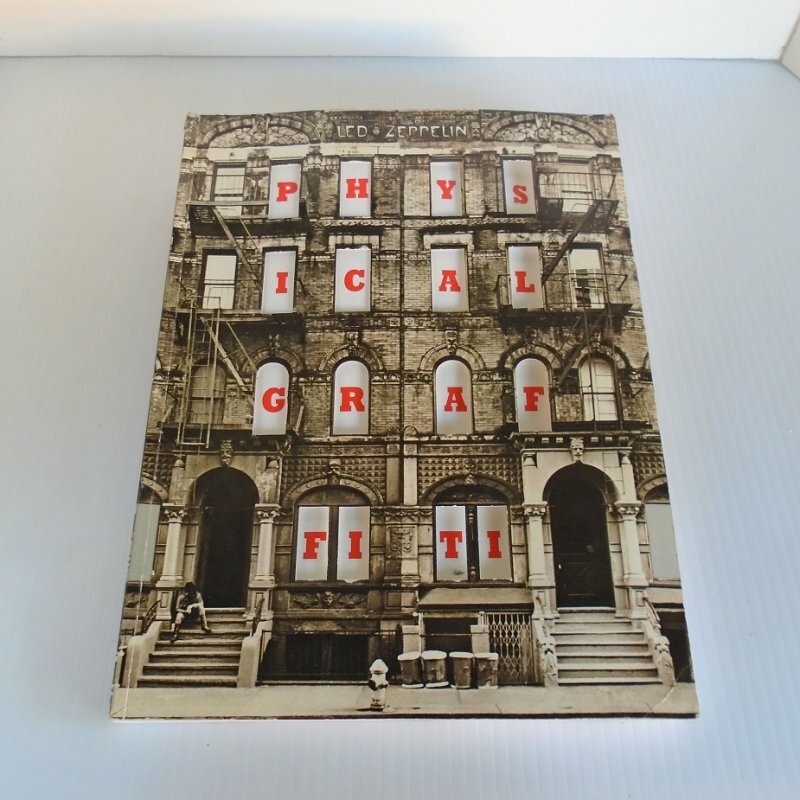 Songbook containing 251 pages with sheet music and lyrics for 15 Led Zeppelin Physical Graffiti recordings. Excellent condition and very clean. This Led Zeppelin songbook contains 15 songs in 251 pages. The book measures 12 by 9 inches. Copyright 1992, Essex England. I flipped through the book several times but did not look page by page. I saw no torn pages, no writing, and no bends in the pages. It is very clean. Buyer to pay USPS Media Mail delivery charges of $4.99. Depending on your location, Media Mail can take 4 to 10 days for delivery. If you would prefer Priority Mail for quicker delivery just let me know and I can give you a quote on that service. Delivery to Alaska, Hawaii, or American territories will have to be via Priority Mail as the postal service will not quote a delivery time for Media Mail to those locations. I gladly combine shipping on multiple items purchased. It is best if possible to contact me first to let me know which items you'll be purchasing so that I can adjust the shipping charges, otherwise at checkout you will be charged a shipping fee for each item. Should that happen, and if appropriate to do so, I refund a portion of those charges.